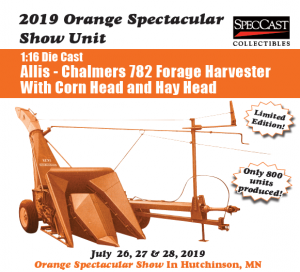 We are now taking orders for the 2019 Orange Spectacular Toy. This year’s toy is a 782 Harvester. We expect this toy to go fast, so get your orders in early as supply is limited. Download the form by clicking on the image below.